A gaunt Jake Gyllenhaal rarely blinks in “Nightcrawler,” turning himself into a chilling human special effect. As a focused but directionless petty thief who does discovers the rewards of recording and selling video to “If it bleeds, it leads” local TV news in Los Angeles, he not only acts like a reptile, he looks the part. 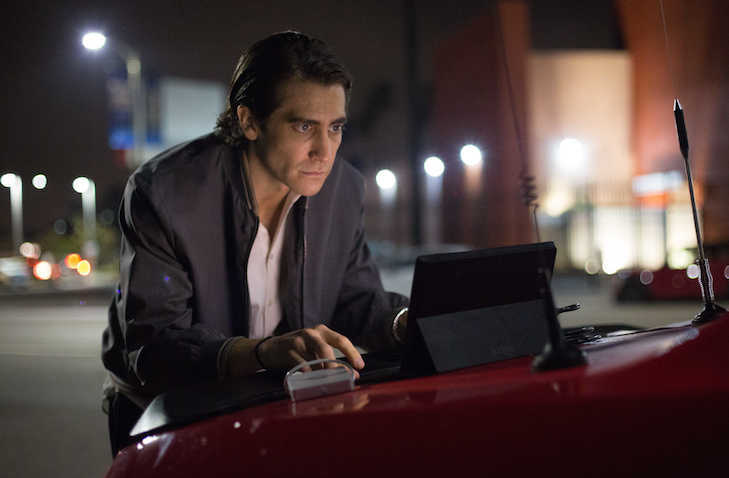 “Nightcrawler” is an utterly fascinating plunge into the ethical cesspool of freelance video journalism in the TMZ age. Writer-director Dan Gilroy (“Michael Clayton”) delivers a blistering, funny and instantly-dated skewering of TV news and the selling of fear to the huddled masses, which market research here reveals only care when white people are the victims of crime. Louis Bloom (Gyllenhaal) is a socially awkward sociopath, a self-educated loner sharp enough to realize his petty thefts of copper tubing and iron manhole covers is not a business with a future. But stumbling onto an accident and meeting a swaggering but brusque freelance videographer (Bill Paxton) convinces him there’s a career with a future, a business model he can make work. He wrangles a cheap camera and figures out, within hours, ways to get a leg up on the others shooting footage to sell to the various Los Angeles TV stations. Focus on the blood, ignore the cops and crime scene protocols and develop a cinematographer’s eye. “I’m a very fast learner,” he says, without a hint of modesty or guile. He’s like a malevolent Dr. Sheldon Cooper of “Big Bang Theory” — borderline Asperger’s, with no compunction about how he gets the amazing shots he does. Rene Russo is spot-on as Nina, an aging TV news director who is the only person Bloom will sell his footage to. She will run it, gore and all, over colleagues’ objections. She gently eggs Bloom on, flatters him and teaches him. Bloom hires a homeless man (Rick Garcia) as his navigator and assistant. And in a whirlwind montage, we see them hustle their way to the top of the overnight news video trade — nursing home fires, bloody wrecks, car-jackings. When nobody is looking, Bloom stages his photos, re-arranging the scene for a more grabby image. The viewer’s jaw drops, because we can sense the slippery slope this earnest, smiling young snake is all-too-eager to hurl himself down. Gyllenhaal gives one of his more transformative performances as Bloom, an Internet-smart creep whose calculating nature runs from how to truly shove aside the competition to making the only woman in his life, Nina, fulfill both his professional and sexual requirements. Gilroy gives their scenes, in which Russo’s Nina rebuffs and brushes off Bloom’s blunt advances, but never so firmly that she scares off her video savior, a breathless crackle. We never have to see them in bed. The haggling over going rates for video scenes are seductive enough. 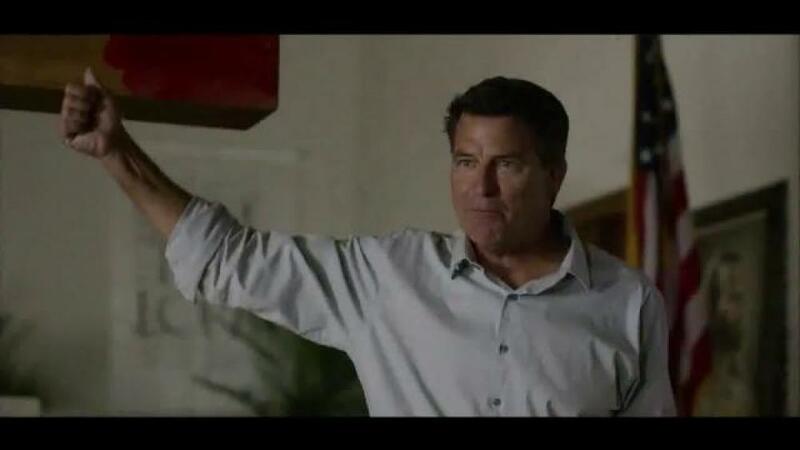 Gilroy cut some corners on the casting, not spending the money on charismatic name actors to play the cops who suspect Bloom’s dark side or the one reporter at the TV station to object to this deal with the video Devil. That makes the story less predictable and entirely about its amoral central figure, whom we figure out early on and thus aren’t really shocked at each new transgression. More problematic is the world Gilroy sets this in. It’s today. It’s video. Bloom is Internet savvy in the extreme. And yet the web nature of much video reportage — the TMZs of the world clobber broadcast TV when it comes to paying for video — is ignored. And Gilroy limits the competition in the media capital of the world to just a couple of freelance video rivals. 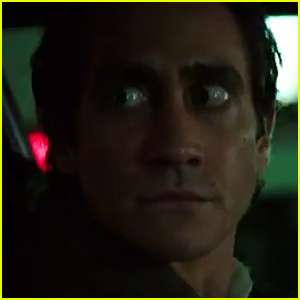 But from that first moment, when smiling Louis Bloom charms and then jumps a security guard, to a breathless third act where his finds that final moral line to cross, Gyllenhaal’s “Nightcrawler” pulls us in, mesmerized by this viper’s wide, unblinking eyes until it’s too late. Credits: Written and directed by Dan Gilroy. An Open Road release.